The big public curtain-raiser for my St Martha’s research didn’t quite go according to plan in the end. The spanner in the works was the stubborn refusal of the Surrey Archaeological Society’s laptop, so old it should be assigned a context number, to read my swish Mac-loving portable hard-drive. The talk itself went as well as can be expected in such circumstances, but my apologetic suggestion to audience members that they use their imaginations to compensate for the lack of visual accompaniment was never going to suffice. Thus, for the benefit of those who were present (and those who were not – you missed out), below are the unseen slides from my presentation and explanatory notes; I recommend you view them in conjunction with one another. It’s the title slide. Move along, nothing more to see here. Frankly, slides 2 and 3 could be treated together. The earliest view of the tower, of 1573, may be largely schematic, but does show a round-headed door in the west tower which resembles the form of the generously-sized western portal depicted in the 1740s. The latter image clearly evokes the massive size of the tower and again suggest an Early Norman origin. Towers of almost keep-like proportions can be found across much of England, but there does seem to have been a particular concentration in and around Kent, perhaps most remarkably the early twelfth-century towered church at Brook – of which more later. The feature that sets St Martha’s lost tower apart from every other known Romanesque west tower in England is the groin vault (apparently pierced by a circular aperture at its apogee) visible for the first time in Francis Grose’s ?post-1763 engraving. The two early nineteenth-century confirm its existence – although it is hard to believe that their eighteenth-century precursor should have elected to confect such a feature within the ruinous tower. Architectural historians like Eric Fernie and Larry Hoey have made a convincing case for the construction of vaults in truly internal ecclesiastical spaces (as opposed to entrance porches) to be a product of the particular importance of the spaces they spanned and what those spaces contained. Commonly they ceil chancel chambers and high altars, so to find one at the opposite end of the church building at St Martha’s points to its ground floor chamber having had particular significance, logically one that precipitated the construction of the tower. I have identified two churches with surviving Anglo-Norman west towers which contain rib vaults: Goring in Oxfordshire and Sidbury in Devon. Both of these are probable former minster churches and, in the case of Sidbury, the present chancel overlies the remains of an earlier, subterranean confessio-like square chamber which bears comparison with the early crypts at Repton in Derbyshire and Lastingham in Yorkshire. To my mind, the most credible explanation for all three vaulted towers is that they housed an important shrine/altar. I haven’t done much digging in regards to the early documentary history of the other two but know that St Martha’s is incredibly fortunate to be referred to twice in the royal Exchequer Rolls of 1273-74 in a context that suggests the veneration of a shrine at the church. The question is – whose shrine? …from the get-go, the medieval dedication forms collected and published over the years – I omit the forms like “The Great Martyrs” proffered by Frances Arnold-Foster in volume 2 of Studies in Church Dedications, or England’s Patron Saints (London: Skeffington & Son, 1899), for which I have found no substantiation – do show St Martha was the one and only named patron saint. Her name continues to dominate into the later medieval period, but slowly a parallel tradition of referring to St Martha’s Hill as “Martyr-hill” emerges. Crucially, the aforementioned brace of trilingual references in the royal Exchequer Rolls prove this was a continuation of an earlier tradition (see Hilda Johnstone, ‘The wardrobe and household of Henry, Son of Edward I’, Bulletin of the John Rylands Library, 7.3 (1923), 384-420 [pages 409, 417]). One of the made after my presentation when questions were invited from the floor was that the Martyr-names were nothing more than formalised local (mis)pronunciations of Martha – a point made as long ago as the 1930s (Wilfrid Hooper, ‘The Pilgrims’ Way and its supposed pilgrim use’, SyAC, 44 (1936), 47-83 ). Credible as this may seem, forms like “Seynt Martha in Martyr hill” (from a local will of 1510) exhibit a clear distinction being made between the two and I would argue this interpretation is the more sustainable. At this juncture we are confronted with three possible explanations: that it was a Roman or sub-Roman martyrium; a site associated with a martyred saint of the middle to late Anglo-Saxon period; or something else and much more unusual. Let’s start with the earliest possibility first. 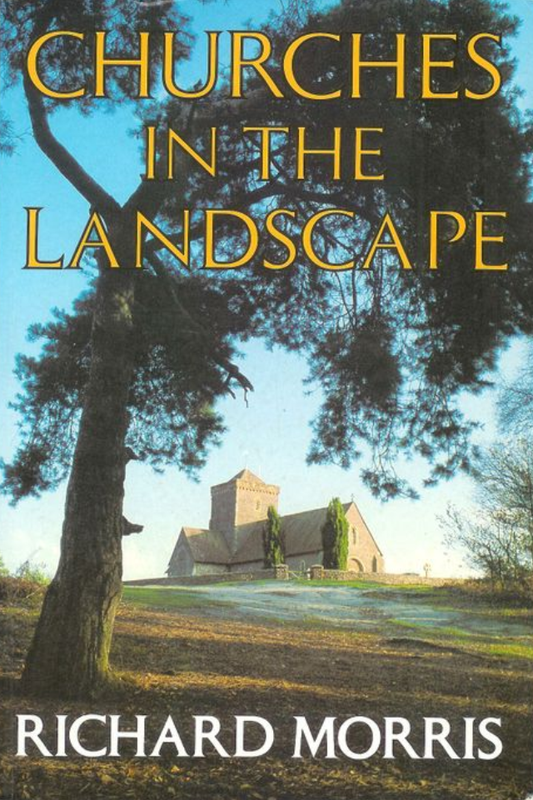 The idea can be found in – or rather inferred by – a number of early antiquarian descriptions of the church/chapel and hill but was first fleshed out with real thought by John Morris in his “Gazetteer of Anglo-Saxon Surrey” of 1959 (pages 142-43) and later in a footnote to his monumental Age of Arthur of 1973 (pages 591-92). The latter shows Morris based his contention in no small measure on Gildas’ sixth-century reference to “the most brilliant lamps of the holy martyrs” at St Albans, Caerleon and “in various other places”. That St Martha’s Hill was one such place was roundly challenged by historian Richard Sharpe in his essay ‘Martyrs and Local Saints in Late Antique Britain’ – in Local Saints and Local Churches in the Early Medieval West, edited by Sharpe and Alan Thacker (Oxford University Press, 2002, 75-154 [page 125]) – on account of its non-urban location. However, his subsequent discussion of the early medieval chapels incorporating/superimposed upon late Roman mausolea at Wells and Stone-by-Faversham (plus the Kentish place-name Eccles) opens up the possibility that something similar could lie behind (or should that be beneath?) the establishment of a church atop “Martyr-hill”. It is here that we can call upon what – for its time – was an excellent peace of landscape archaeology; E S Wood’s ‘The Earth Circles on St Martha’s Hill, near Guildford’, published in 1955. Admittedly, the conclusions reached about the date and function of the four or five earthen rings to the south of the church is spectacularly off-beam; they are obviously the steads of former tree-clumps of eighteenth or even early nineteenth-century date, though this has not stopped a steady stream of authors reiterating Wood’s prehistoric religious monument interpretation, including one of my old MA tutors – Richard Morris, ‘Coincidence and Continuity: Christianity in Britain c.400-700’ (1983), page 26 – St Martha’s even made it onto the front cover of the paperback version of his best-known book. His survey of the early archaeology of the hill and its environs, on the other hand, is thorough and by and large remains solid. It presents relatively little in the way of Roman-period evidence and more importantly an absence of post-Roman material save for the pottery urn found ex situ in 1916, whose suggested sixth-century date was clearly the other plank of Morris’ postulation. I have suggested elsewhere on this website that the urn may have been a votive deposition, but it can hardly be held to prove it was buried at a hill-top martyrium. All things considered, though the idea has its attractions, it is too hard to give a credible account of why such an early and obscure martyr cult should have merited such dramatic rehousing in the twelfth century.